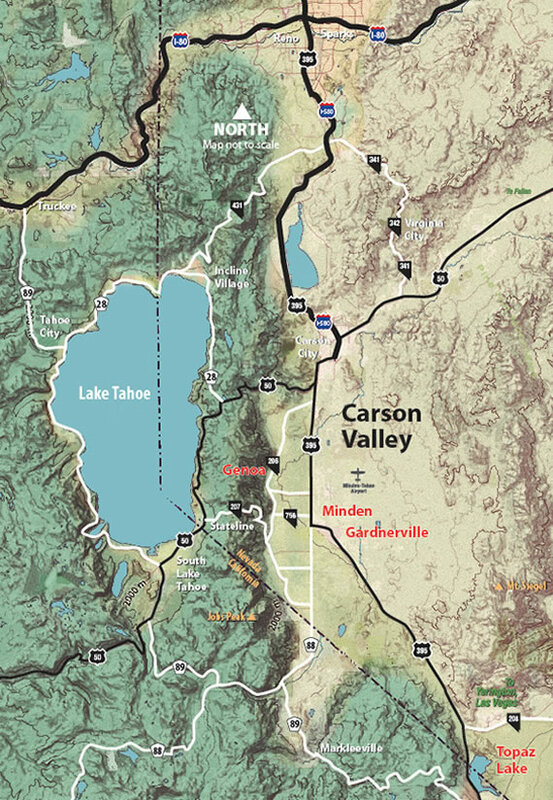 Because of the proximity to the Toiyabe and Eldorado national forests, the park is also a good base or way station for expeditions into wilder country. Camping facilities include 15 campsites with water and electrical hookups, 45 developed non-hookup campsites with water available every third campsite, a group camp area (no hookups) that can accommodate up to 6 RVs, and a spacious undeveloped camping area at the water’s edge. There are flush toilets, showers, a trailer dump station, and a convenient fish cleaning station. A playground for the kids is available along with a volleyball court and horseshoe pit. Also on the property is a secured storage area for RV’s and boats with an affordable rental fee program. The park is a well-kept secret among birdwatchers and small birds sighted at the park include orioles, swallows, red-winged blackbirds, and yellow warblers. A pair of bald eagles nest nearby, while ospreys and pelicans are frequently seen. During the migration season, the park’s location on the Pacific Flyway makes it an especially good bird-watching spot.